The Home of Carolina Panthers Tailgating! Pantherfanz is a Carolina Panthers Tailgating club formed in 1999 by the late, great Marc "Joker" Stanton and his close friend Dan Ortel. The group has grown from a few friends with a Weber grill and a dream into a game day party complete with a customized Pantherfanz school bus, a club quality sound system, multiple giant smoker grills, and the ability to host hundreds of fellow football fans in our shady lot just a short walk from BofA stadium. Led by PFUFA member Dan Ortel, Pantherfanz has gained notoriety as being one of the best Tailgates in Charlotte, NC and has appeared on local and national TV, and been recognized by a host of independent websites as the place to be before the big game! Pantherfanz has gone International with a Canadian chapter (Den #2) which was started in 2001. 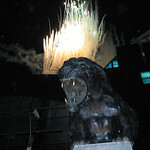 Pantherfanz regularly hosts visitors and fans from around the world. Pantherfanz has worked with many charity groups, including working with the Panthers in helping host our U.S. Veterans from the Wounded Warrior Project. We welcome you to join us in our quest to live life to the fullest and help provide the ultimate game day experience! GO Panthers!! 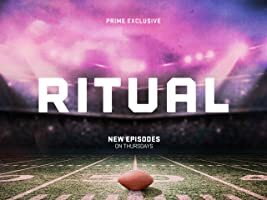 Amazon Primes "Rituals" features the Pantherfanz!